At the Welsh Labour Spring Conference next week, the results of the Welsh Labour deputy leadership election will be announced. 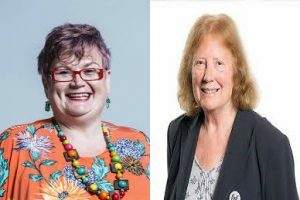 The first ever election for the new position is being fought between Swansea East MP Carolyn Harris and Cardiff North AM Julie Morgan. A lot of the talk surrounding the election has been over the issue of One Member One Vote (OMOV) in deciding future Welsh Labour leadership elections, as Sienna Rodgers noted on LabourList. The UK Labour Party currently operates this system for its leadership elections but Welsh Labour have not followed, keeping the Electoral College system which is being used for this election. The issue of OMOV may symbolise an election being fought between left vs right. It will of course favour left-wing candidates in any future leadership election, with suggestions that Cabinet Secretary for Finance and Local Government, Mark Drakeford, might run for the Welsh Labour leadership as the left candidate. However, a look at politicians who are supporting each candidate, and the positions of the candidates themselves, suggests it is not that simple. Both Carolyn Harris and Julie Morgan include a page on their respective campaign sites with a list of the politicians, unions and Labour groups supporting them. A look through this list reveals a couple of things. For the purpose of this analysis, I am going to look at the AMs, Welsh MPs and the non-Welsh MPs who are listed on their sites. It must be noted, however, that Harris has secured the support most of the trade unions, potentially proving significant. Firstly, Julie Morgan has 14 AMs listed on her endorsements page compared to 11 for Carolyn Harris. 4 Welsh Government Cabinet Secretaries have declared support for Julie Morgan: Mark Drakeford, Ken Skates, Lesley Griffiths and Julie James. Harris has gained the support of 2 Cabinet Secretaries, Vaughan Gething and Alun Davies. In terms of Welsh Government ministers, Morgan has received support from 3: Eluned Morgan, Rebecca Evans and Huw Irranca-Davies. Harris has received support from 1, Hannah Blythyn, indicating an equal 5-5 split within the Welsh Government in terms of support for each candidate. 14 AMs for Morgan and 11 for Harris is not a significant difference either. It is not obviously clear if these AMs represent different parts of the left-right divide. Welsh AMs have appeared, on the surface anyway, to be fairly united, with none of the splits we see in the party at a UK-wide level. Harris has received the backing of more Welsh MPs than Morgan: 17-5. This denotes a clear message that Welsh MPs are overwhelmingly coming out in support of Harris, who has also secured the backing of prominent non-Welsh MPs. On her website, Dianne Abbot, Angela Rayner and Clive Lewis have offered their support to the campaign. Again, this raises doubts as to whether this election reflects a left-right split in the party as these 3 MPs are considered key Corbyn allies. Simply looking at who is backing who, there does not appear to be a clear ideological divide between the supporters of the two candidates. Trying to discern a left-right divide between the two candidates is difficult in itself. Details provided by TheyWorkForYou suggest that Carolyn Harris has consistently voted in favour of broadly ‘socialist’ policies. On her website, Harris stresses that she has “remained loyal to our Party and the leadership” (although she declared support for Owen Smith in the 2016 leadership election). She promises to stand up to Tory austerity and demonstrate “the difference Labour values and socialist policies make to our communities”. A pro-devo vs devo-sceptic divide might not be on display here either: TheyWorkForYou analysis suggests that “Carolyn Harris generally voted for transferring more powers to the Welsh Assembly”. Julie Morgan has also emphasised her socialist credentials, highlighting her career fighting for human rights, social justice and equality. In a campaign video on her Twitter page, Morgan gave her 100% backing to Jeremy Corbyn, emphasising shared policy positions with the Labour leader. In the same video, Mark Drakeford urged Labour members to vote for Julie Morgan insisting that “there is a real political choice at the heart of this election about the sort of Labour Party we want to be here in Wales. And we need a Labour Party that leans to the left, because that’s where the centre of political gravity lies here in Wales”. For Drakeford, a vote for Julie Morgan would guarantee that. If this election is being fought on OMOV then it is strange to see Corbyn allies supporting Carolyn Harris. OMOV would be the aim of Corbyn supporters in Wales. However, as I have mentioned, it is probably easier for Harris to ask for support of MPs. Her notable success in securing the Prime Minister’s commitment to set up a children’s funeral fund has won plaudits throughout Westminster. There is also the possibility that non-Welsh Labour MPs may not fully understand the internal dynamics at play in the party in Wales. Corbyn allies not lending their support to a politician campaigning for a voting system favourable to left-wing candidates indicates this. If this election is being fought over OMOV, Harris does not seem to be mentioning it, although she did state that the decision to keep the Electoral College system was correct, saying that “It’s really important unions, who created the party, have a say”. Morgan has put the issue of OMOV at the centre of her campaign. As an aside, it’s worth mentioning that Mike Hedges, tipped by some as a potential left-wing candidate in a future leadership election, has been very vocal about his desire to see OMOV introduced into Welsh leadership elections. However, according to Harris’ website, Hedges has offered his support to her campaign, and not to Julie Morgan who is actually campaigning for OMOV! Hedges is the AM for Swansea East so perhaps it might not be seen as a particularly appropriate thing for him to be backing the opponent of the MP whose consistency he shares. However, this didn’t stop Mick Antoniw coming out in support of Jeremy Corbyn in the Labour leadership election against Owen Smith who represents Pontypridd, the same constituency as Antoniw. In fairness, Mike Hedges has not shared anything on social media offering support to either candidate. His vocal support for OMOV makes me believe this may be an oversight. More substantial work is needed on the internal dynamics within the party in relation to this election. For now, it is worth stressing two features of this election. Firstly, it is clear that Carolyn Harris has a substantial amount of support behind her campaign. The weight of PLP backing and trade union support is significant. However, Julie Morgan has also achieved trade union support and a desire from the membership for OMOV may give her the advantage. Secondly, even if this election is not overtly a left-right battle, a Julie Morgan victory may have a significant impact on the future direction of the party. If Julie Morgan wins the election, then calls for OMOV to be introduced into the Welsh Labour Party will grow, and this could have a major impact when Carwyn Jones steps down as Welsh Labour leader and an election commences. Welsh Labour under the control of a left-wing, pro-Corbyn leadership could fundamentally change as a party. Understanding the internal dynamics of Welsh Labour is not straightforward. The call for OMOV from the likes of Julie Morgan, Mark Drakeford and Welsh Labour Grassroots may push Welsh Labour towards a left vs right, pro-Corbyn vs anti-Corbyn dynamic. However, the relationship between Welsh Labour AMs and Welsh Labour MPs, pro-devo Labour members and devo-sceptic Labour members, also needs to be factored in. This election could bring those tensions to the fore.